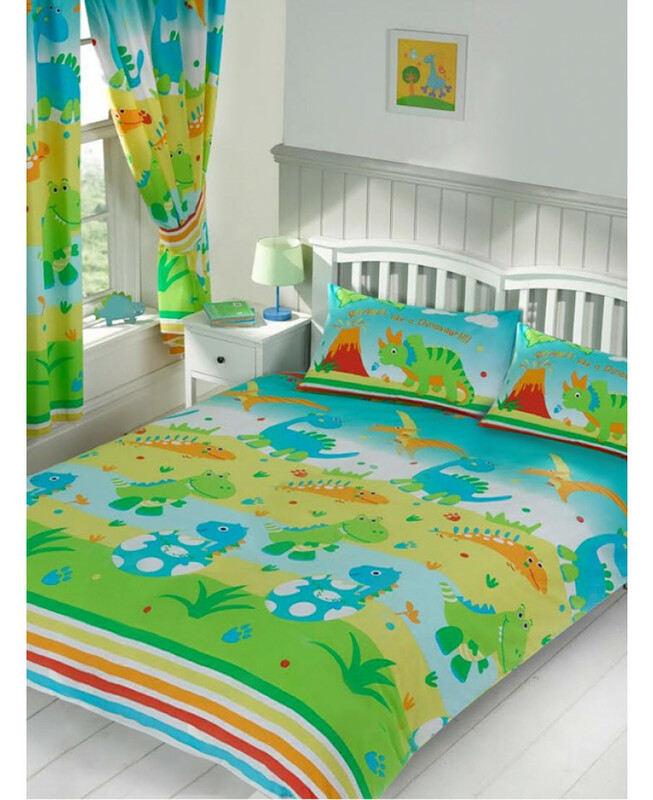 This Roar Like a Dinosaur double duvet cover and pillowcase set is bound to be a hit with any little dinosaur fan. The design features lots of friendly cartoon style dinosaurs on a bright and colourful background. Made from a polycotton blend, this set is suitable for machine washing and tumble drying on a low setting.